Home » News » Heathlands Village Cyclists Receive Motiview Medals! Heathlands Village Cyclists Receive Motiview Medals! After cycling almost 1,500 kilometres, as part of the Motitech cycling exercise pilot project at Heathlands Village, nearly 50 residents, some over 100 years of age, literally deserved a medal. Earlier this month they welcomed the Norwegian company’s UK Director, Stian Lavik, and Project Manager Solfrid Sagstad, to their home to celebrate the end of the pilot, the final of ïRoad World for Seniors’ and their own remarkable efforts. The village team came first in the UK and 13th in the world for kilometres cycled during the summer cycling endeavour, æwhich took them round some of Europe’s most popular tourist destinations and more local familiar Greater Manchester haunts – from the comfort of their own chairs. 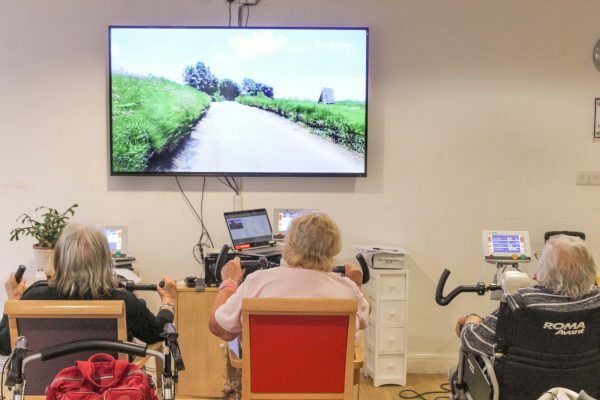 The innovative ïMotiview’ cycling programme aims to get older people, especially those living with dementia, ïon their bikes’ and has recognised benefits to wellbeing, sleep and mobility. æA combination of video imaging, sound and specially-adapted bicycles creates a totally immersive experience. Heathlands Village Activity Centre Deputy Manager, Jennifer Berger, and colleague, Nick Burgess, oversaw the project.æ She enthused: “Residents from all our care departments took part – residential, nursing, Moorview Independent Living, and Eventhall House and Beach House, and the results have been amazing. Residents themselves were equally as excited about the project: æ”I feel wonderful and can’t wait to do it again,” said Estelle Demby. “My legs feel better than they have in years – these bikes have done what the doctors couldn’t,” said another resident. 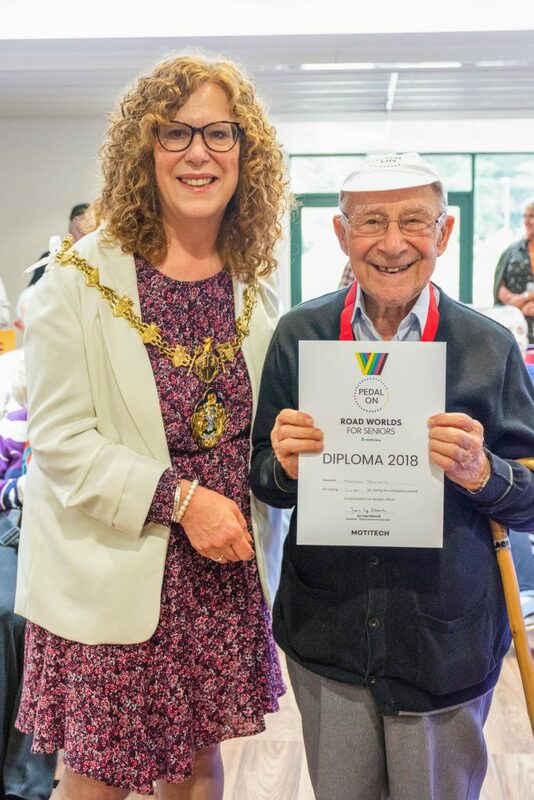 With The Fed’s CEO, Mark Cunningham, acting as Master of Ceremonies, Councillor Jane Black – Mayor of Bury – presented each participant with a medal and certificate.